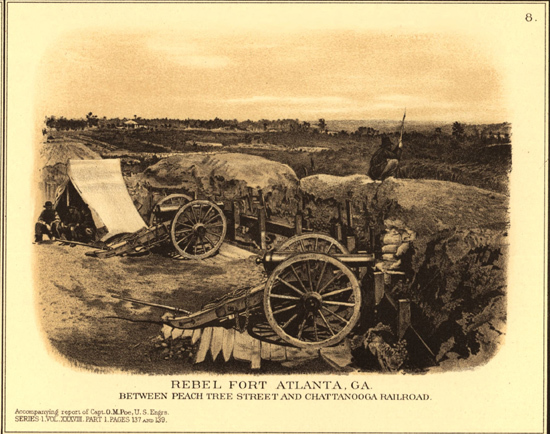 The Atlas to Accompany the Official Records of the Union and Confederate Armies (AKA the War of the Rebellion Atlas) was published as a companion piece to the Official Records of the American Civil War. The Atlas contains three types of illustrations: maps, illustrations based on photographs, and illustrations and technical drawings. Maps: A total of 156 plates containing maps ranging from small-scale engagements to regional views and date-specific snapshots of long-running sieges like Vicksburg and Atlanta. 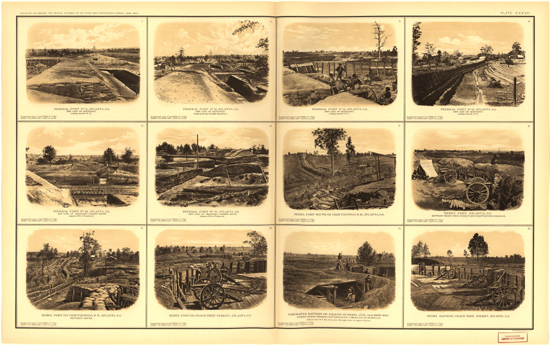 Illustrations based on photographs: Twelve plates that include images of Charleston Harbor and Ft. Sumter, Missionary Ridge and various elements of mid-nineteenth century warfare. Illustrations and technical drawings: Ten plates containing diagrams of defensive elements (redoubts, redans, and forts, for example), equipment and armaments, uniforms, and flags. As you can see, even a representation at 30% of its full size is quite detailed. Note that the full size maps/illustrations are in jpeg2 format. Links to a jpeg2 viewer for Windows computers are provided on the DVD. Master Edition: The War of the Rebellion:a Compilation of the Official Records of the Union and..
Master Edition: Official Records of the Union and Confederate Navies in the War of the Rebellio..